Naan is like pizza dough or a thick flour tortilla. One of the things I love about it is you can use your leftover sourdough starter to make it. This recipe comes from Peter Reinhart's book, "Whole Grain Breads". The recipe in the book does not use sourdough but here is how to use your starter. In mixer add flour, salt, yeast, melted butter, buttermilk or combination of water with the liquid. Put on the paddle attachment and mix on low speed until it comes together. Switch to the dough hook and kneed for about 3 minutes until it forms a ball. It will be slightly sticky, especially if you used your sour dough starter. If it's too wet, add a bit more flour about 1 tablespoon for now. Take it out of the bowl and kneed a couple of times on the counter. Let it rest about 5 minutes on the counter. You can ferment it overnight if you like in a covered container. Since I used my sour dough starter I skipped this step and made them right away for dinner. 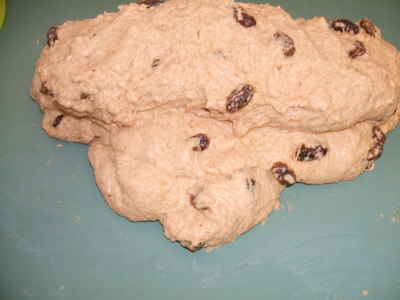 The recipe calls for the dough to be cut into 5 pieces. I find this is too large of a serving size for me. I divided the dough into 8 pieces (108g) each. Roll each piece into a ball cover them with plastic to raise double in size. This was about 30 minutes, but if the dough was cold it will take longer. Roll out to about 8 inches in diameter, and 1/4 inch thick. I rolled mine out on individual pieces of plastic so I could pick them up and place them into the pan with ease. Let them rest after rolling them out, while you finish doing all of them. Pre heat your oven with your pizza stone in it at 450 degrees. I cooked mine in a large hot skillet on the stove top. Then placed them in the oven on a cookie sheet at 350 degrees for about 5 minutes to make sure they were cooked thru. They cook quickly about 3 minutes, on the stove. Flip them over and finish on the other side. You will know they are done when they start to caramelize with brown spots, then flip over and repeat. Put into the oven if you like to finish cooking or keep warm. Pane Bianco is an Italian white bread filled with sun-dried tomatoes, fresh basil, garlic and cheese, which is shaped into a figure 8. This recipe is based on a recipe in "Laurel's Kitchen Bread Book", called "Busy People's Bread". Looking back on the original recipe I have changed it quite a bit. 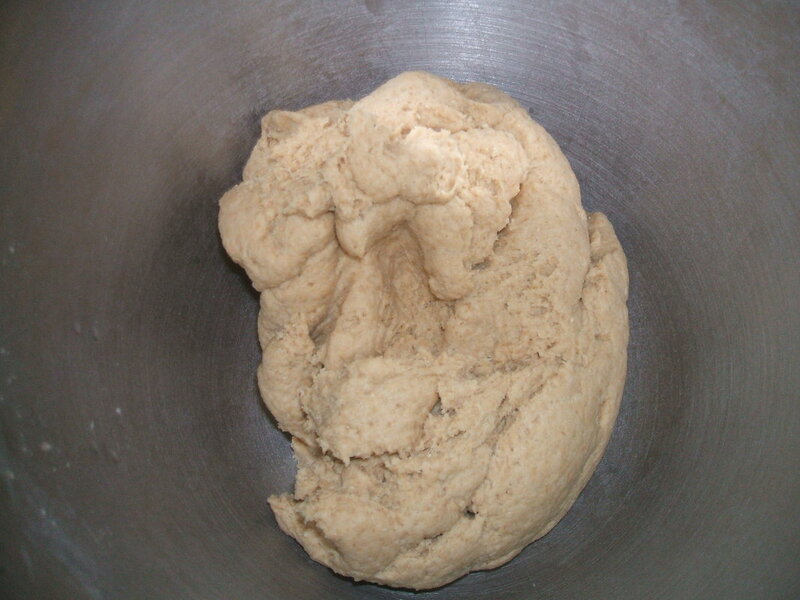 This is a straight dough which means you do not let it sit overnight to ferment. This dough is a bit stiff, so don't be shocked when you are mixing it. Even though it's stiff, It raises very nicely and is very easy to handle and shape. It makes 12 good size Hamburger buns and I also use it for making a dozen Calzones. How you shape it and stuff it will make a totally different bread. You can make individual rolls a single large loaf or a couple of free form loaves. Meanwhile, cut into small pieces the oven roasted tomatoes or use dried ones. Chop the basil and other fresh herbs or use a dried Italian mix and grate the cheese. After the bulk proof, gently deflate the dough. Depending on if you are making a traditional loaf or rolls the technique will be the same. For a large loaf roll out the dough 20 x 8 1/2" rectangle. Spread with the cheese, and tomato herb mixture over the dough. Starting with one long edge, roll the dough into a log the long way. Pinch the edges to seal. Place the log seam-side down on a lightly greased or parchment-lined baking sheet. If you want 2 smaller free form loaves cut the log in half. Using kitchen shears, start 1/2" from one end and cut the log lengthwise down the center about 1" deep, (DO NOT CUT ALL THE WAY THRU just enough to expose the filling) Cut to within 1/2" of the other end. 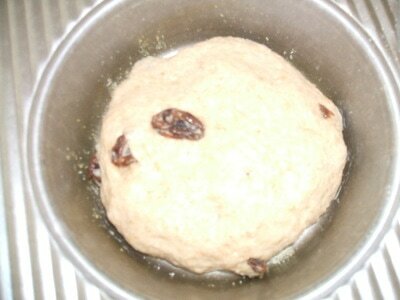 Cover and let rise in a warm place until double, 30 - 45 minutes. Until it has doubled in bulk and springs back lightly when touched. While the loaf is rising, preheat the oven to 375°F. Bake it for 35 to 40 minutes, for a large loaf tenting it with foil the last 10 minutes to keep from getting to brown. Everyone has their idea of the perfect hamburger bun. This is a 100% whole grain bun that's light in texture, and neutral in taste. It's also easy to make, that scores high marks by me. This recipe is based on a recipe in "Laurel's Kitchen Bread Book", called "Busy People's Bread". Looking back on the original recipe I have changed it quite a bit. This is a straight dough which means you do not let it sit overnight to ferment. 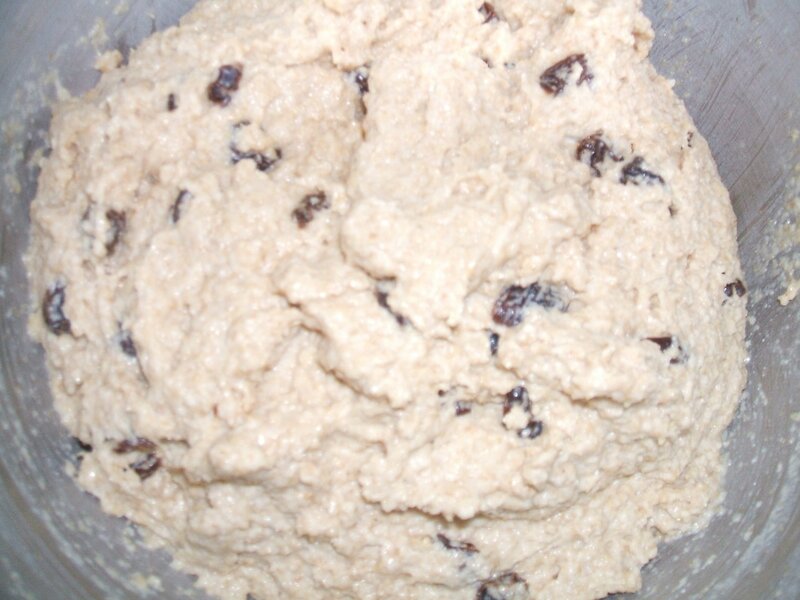 This dough is very stiff, so don't be shocked when you are mixing it. Even though it's stiff, It raises very nicely and is easy to handle and shape. It makes 12 good size buns but I also use it for making Calzones. I have always weighed everything but for you folks that don't have a scale I have converted the grams. Please note it is always more accurate to weigh the ingredients. Yields: 12 Buns - 95g ea. Shape into 12 round balls about 95g each. 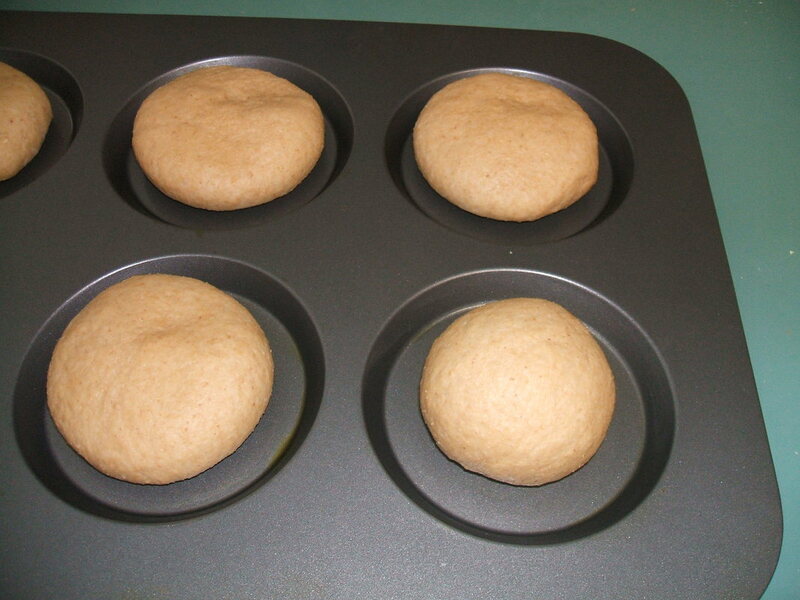 I use my muffin top pan for the buns. I place the pan on a cookie sheet so the bottom of the buns do not brown too much. But you could just put it on a cookie sheet. Flatten the balls to shape them for hamburger buns. Add Shine: 1 large egg yolk + 2 tsp. water mix in a small bowl and brush the buns before proofing them. Proof for an addition 20 minutes until about the size you want them. Put into the oven and bake at 375 for 5 minutes, then turn down the temperature to 350 degrees for the remainder of the 10-15 minutes. This recipe comes from a bakery on the East Coast. The recipe was for originally 40 muffins. Since the recipe was in percentages "Bakers Formula" it was easy to reduce to a more workable size. 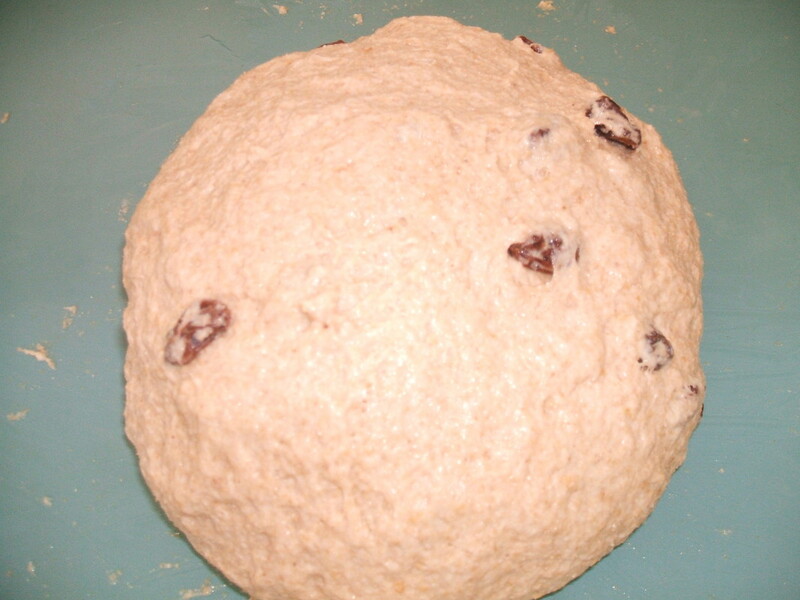 This is a direct dough recipe, using Spring Hard White whole grain flour. Scale: The best investment in your kitchen! Bowl: You can do this recipe by hand the dough is soft. Just a note on measuring, it's always best to weigh your ingredients, but if you don't have a scale I have converted the grams into cups and measuring spoons for you. Add all the ingredients to the mixer bowl. Put the paddle attachment onto the mixer and mix until all of the dry ingredients are scraped off the bottom of the bowl. It will be very wet. Wet your hands with water and shake off the extra. Now with damp hands wet the counter. Scrape the dough out of the bowl onto the wet counter top. 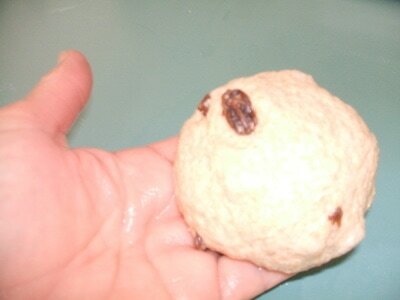 Try to form the dough into a ball the best you can. Fold and slap 3 times- watch video below. Leave the dough on the counter and invert the bowl over the dough, and let raise. Total raise time is 1 hour and 30 minutes. Set one timer for the total time. You will be using a techniques called slap and fold every 30 minutes. So set a second timer for the first 30 minutes. Wet your hands and counter before you slap and fold your dough on the counter. Watch the video below for the technique. This technique allows you to develop the gluten while keeping the air bubbles in the dough. You will be slaping and folding the dough a total of 4 times. Once right after you mix it, dump it on the counter. Slap and fold 3 times. I invert the bowl on the counter with the dough under it so it will not dry out. You will do this every 30 minutes, until the 1 1/2 hours are up. The video is only to show you the technique. 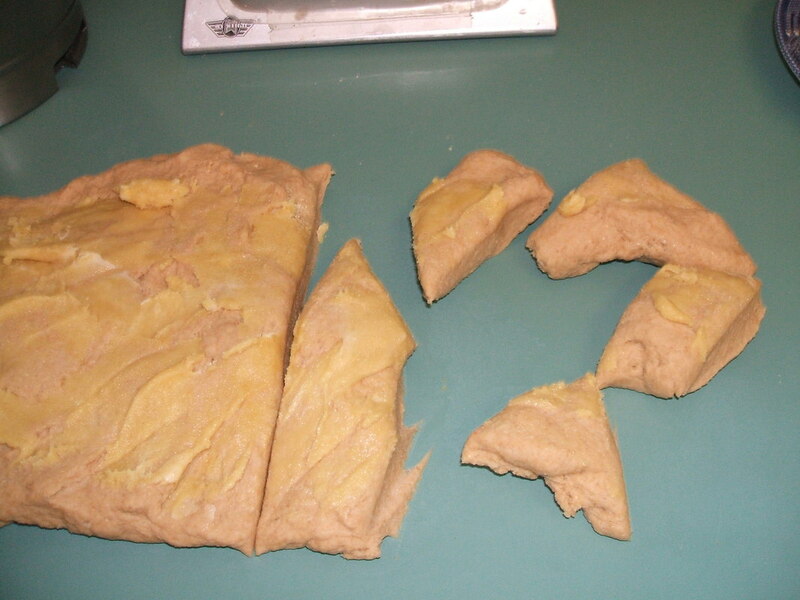 Divide the dough into 12 even pieces, weight it out if you have a scale. 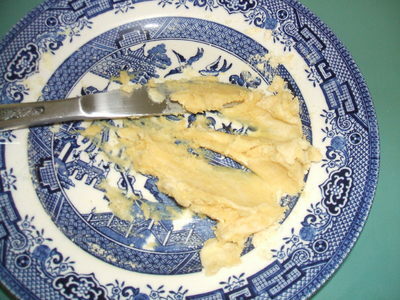 Grease your pan and dust with corn meal. I have a specialty pan used to make hamburger buns but a cookie sheet will also work. The difference is they may not be perfectly round depending on how well you shaped them. Let them raise around 45 minutes they should be puffy and about the finished size. Just a note; this is not the traditional way of making English Muffins. Most use rings and a griddle or skillet to cook them. 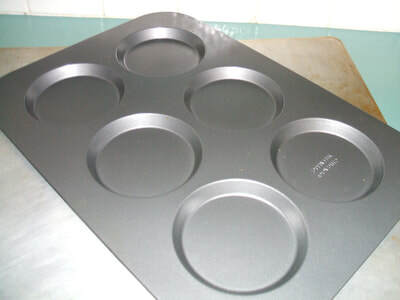 I have looked at the rings and they are expensive and I have found the rings are not needed if you bake them in the oven like I do, then finish on the griddle or stove top in a pan. I place my pan on top of a empty cookie sheet and place both in the oven. If you are making them on a cookie sheet, place a second empty sheet under the one you are using. This will prevent them from becoming too brown on the bottom. Bake at 350 degrees for a total of 20-25 minutes. flip them over half way, at around 10 minutes and bake another 10-15 minutes. Heat your electric skillet or pan to 300 degrees. 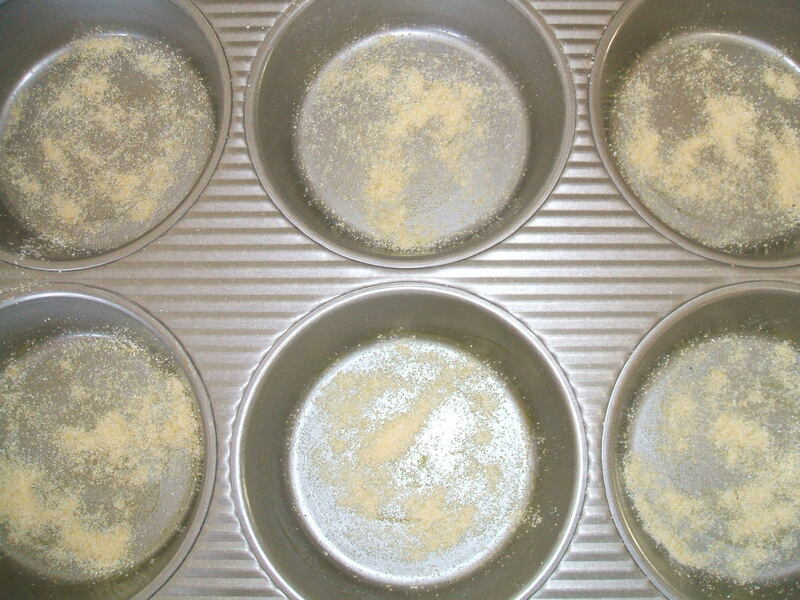 Remove the muffins from the oven and place on the griddle and toast until golden in color. This step is just to add color. Flip over and do the other side. Remove and cool thoroughly (2 hours) before splitting with a fork. To do this insert your fork in the middle of the side of the muffin all the way around and pull. 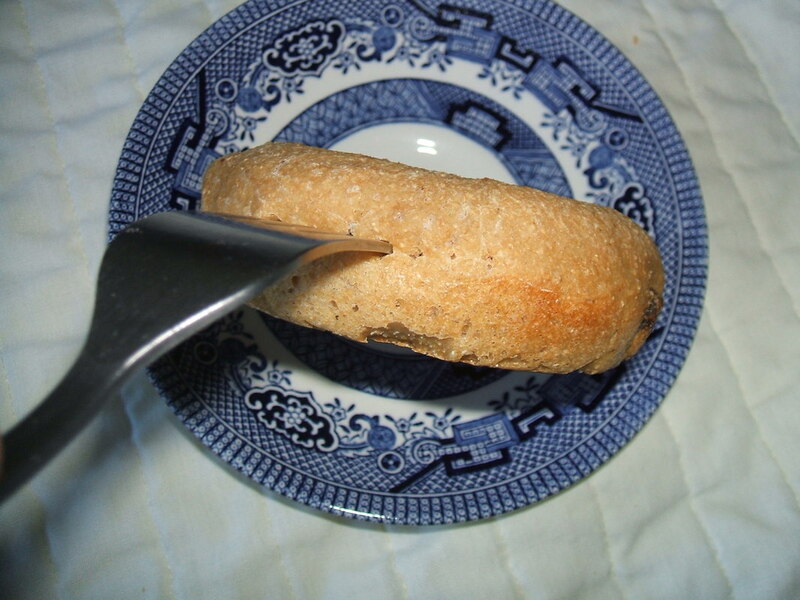 This is the best way to cut an English Muffin. Cool for 2 hours before cutting. I freeze mine they are nice toasted, crunchy on the outside and soft in the middle. 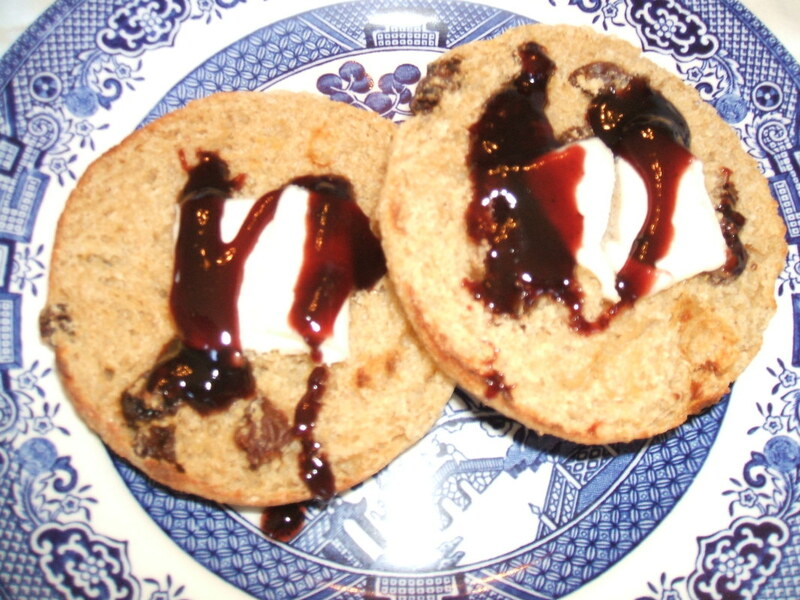 You will never buy English Muffins again, once you make your own. They are not hard but do require you to be around the house, since there is so much time between kneading. I hope you try these they are easy, and freeze well so you can enjoy them for a long time. Pretzel Buns are all the rage now in the bakeries and high end restaurants. How to achieve the dark crunchy crust is not hard and something you can do with your favorite roll or bun recipe. 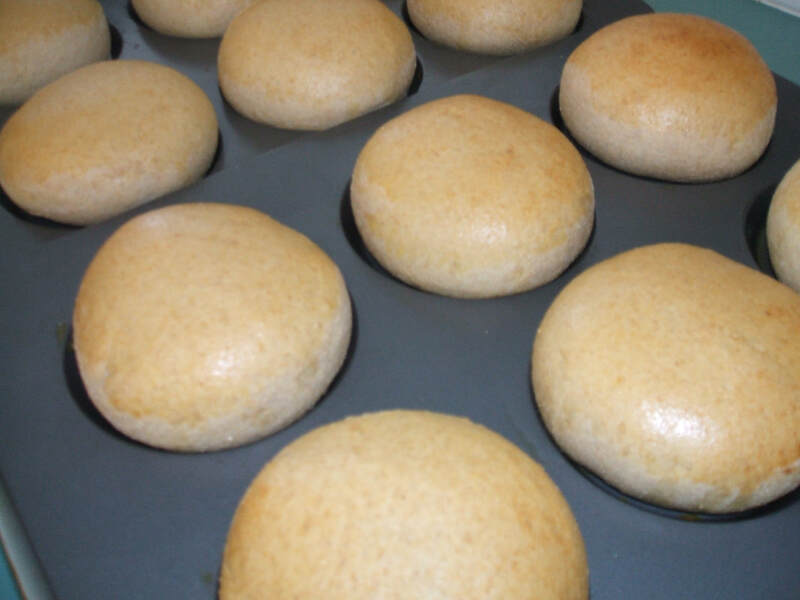 By simply adding a final step to your bread making process your buns will look like a million bucks. 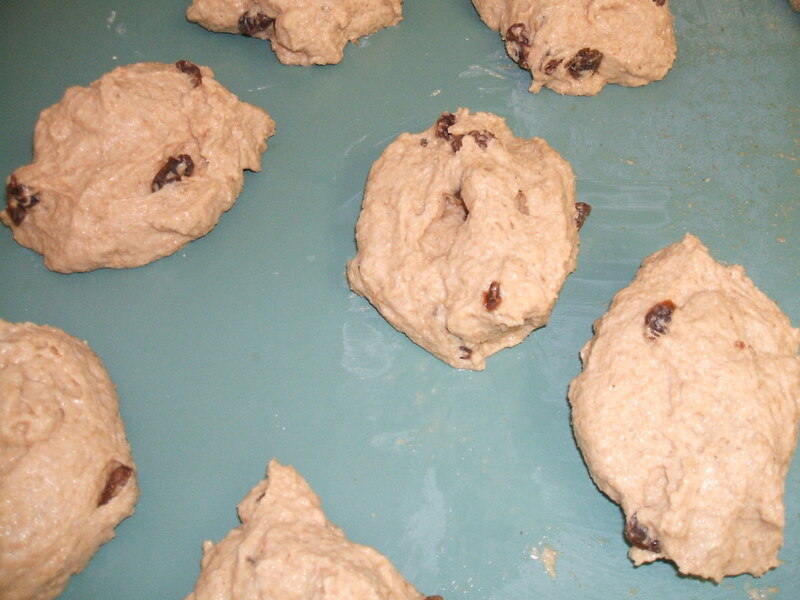 Mix your dough and bulk proof until double in bulk. 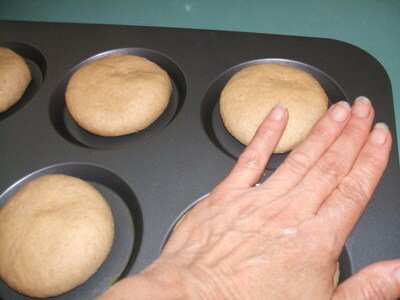 Punch it down, round the dough and divide your dough into the sizes you want for your buns. Place your buns on your pan, keep them covered and let them raise. While they are raising you will prepare the water bath. The water bath gives your buns a dark brown color and a wonderful pretzel flavor. You do not need a large deep pan, a 10" electric frying pan works very well. Bring the water, salt, and baking soda to a boil. When your buns have risen, drop several of them into the boiling water bath. Cook for about 30 seconds then flip them over for another 30 seconds. 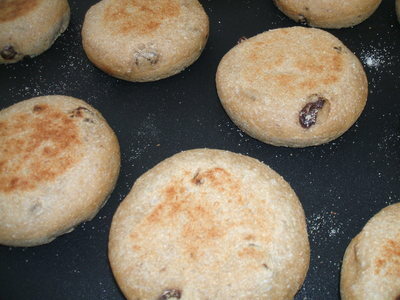 Scoop them out with a slotted spoon and put them back onto the baking sheet. repeat this procedure with all of the buns. For that signature pretzel bun look, use scissors or a sharp knife to cut 1/2″-deep crosses into the center of each bun. This step is optional; but will give your buns a pattern when they bake. Sprinkle each bun with the topping of your choice. If you use sea salt as the topping reduce the amount of salt in the recipe. You could use any seeds, onions anything that will give them a nice look. The additional water bath causes the buns to brown quicker then usual so I suggest that you put then on a lower rack in the oven to bake. Bake as usual but keep your eye on them. If they are getting a bit to brown cover them with foil for the remaining baking time. Bake smaller buns for a shorter amount of time; larger buns, longer. If you have a digital thermometer, the temperature of a perfectly baked bun will be 190°F at its center. If you’re baking two pans of buns, and they both won’t fit on a lower rack, it’s OK to bake one while the other sits. The water bath has stopped a lot of the yeast action, so the waiting buns won’t let them over-rise. Salt-topped buns are best consumed the day they’re made.The salt on top of the buns will dissolve into the bun. This will result in a puckered appearance of your buns. Buns topped with seeds rather than salt hold up better, though they still suffer a little bit of puckering due to the salt in the water bath. Lecithin is a pure vegetable fat that is essential in the cells of the body. It can be found in many foods, including soybeans and egg yolks. Lecithin is taken as a medicine and is also used in the manufacturing of medicines. Not all preservatives are artificial. Lecithin is a natural preservative that comes from soy or egg yolks. Adding lecithin to your regular loaf of bread helps keep it fluffy and light. At the same time, it acts as a natural preservative for your bread. Powdered ascorbic acid is another well-known natural food preservative used in bread. It reduces the growth of microorganisms plus helps the yeast rise faster. You can crush a Vitamin C tablet with a mortar and pestle if you don't have powdered ascorbic acid. Honey, ginger and cinnamon, are all flavorful natural food preservatives and good additions to your breads. Add 1 tsp. per loaf of bread to keep it from going stale. 1. It breaks up cholesterol and fats in our body so it's advisable for those who want to lose weight. Consuming more lecithin means increasing the body's metabolism rate. 2. It's beneficial to anyone who wants to enhance their memory skills. Those with Alzheimer's or amnesia are advised to include lecithin in their diet. 3. Lecithin also cleanses the kidneys and liver which is important to those who are suffering from urinary tract infection and those who love to eat salty and spicy foods. It prevents diseases like gallstones and gallbladder infections. 4. Protects against heart diseases and lowers your cholesterol level while preventing toxins from clogging the arteries. 5. Helps our body absorb essential nutrients better and supports the movement of our body fluids inside and outside our cells. 6. Lecithin nourishes our skin and lessens the possibility of dealing with skin problems like pimples, acne, whiteheads, and blackheads. 7. Increases your physical performance, for those into sports and people who are always on the go. Lecithin can boost the body's energy level without making you fat. 8. If you are suffering from arthritis, lecithin is especially helpful in dealing with this painful ailment. Lecithin contains essential fatty acids that keep muscles, bones, and joints strong and healthy. 9. There are also benefits of lecithin for pregnant women. Studies proved that it can contribute a lot to the development of the fetus' brain and nervous system. I often get asked can I make the bread without adding any salt since we are watching our salt intake. The answer is no, salt does much more than just add flavor to the bread. Yeast breads have very few ingredients but each ingredient plays a role in the end quality of the bread. I find if you understand the ingredients in your recipe you will ultimately be a better baker. Salt's main function is to bring out the flavor of the baked product. Salt tends to bring out the good flavors and mask the off-flavors. 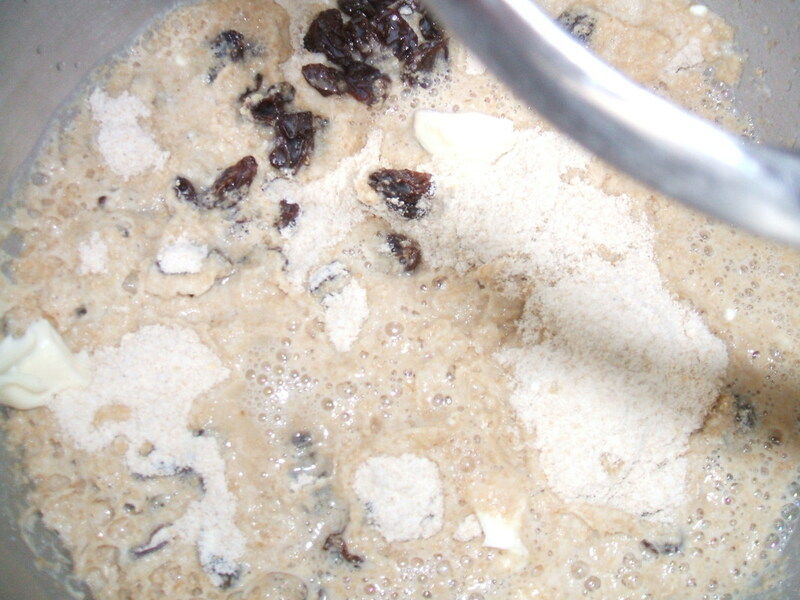 Salt will actually dry up the yeast cells much like the sun will dry up a grape and turn it into a raisin. When you are adding your salt to your bowl, it's best not to add it directly on top of the yeast you just added. Since salt slows down the fermentation it can be can be used to control the fermentation rate of sponges or sourdough breads. Slowing down fermentation rate means that less sugars are metabolized by the yeast into acids. 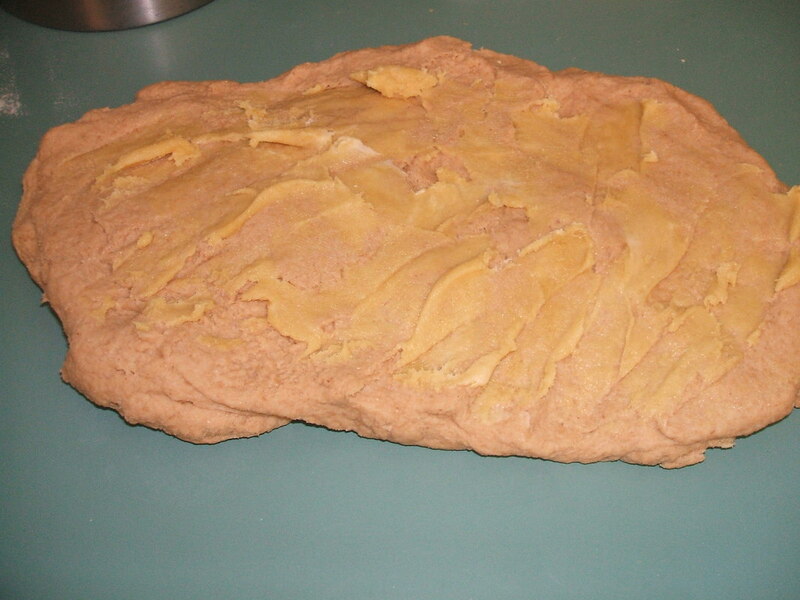 The result is that the pH of the dough will be higher and the crust color will be darker. the fact that salt toughen the gluten, could be helpful when using a flour with less gluten like Spelt compared to Hard Red flour. Since it strengthens the gluten it also lengthens the mixing time when making bread. It's common to delay the addition of the salt to the mixer until the end of the mix especially if you are kneading the dough by hand. Lastly, bread with no salt will have a crust which is lighter in color (given the same baking time and oven temperature). This can be explained as follows. 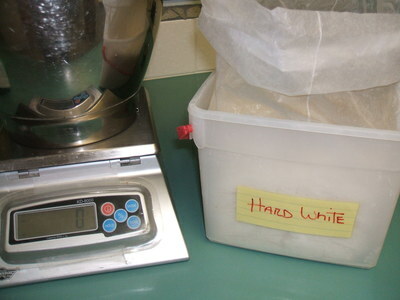 Salt will slow down fermentation, so when there is no salt, the yeast activity will increase i.e. the yeast will metabolize more sugar in a given period of time. As a result there will be less sugars left in the dough and the pH of the dough will be lower (more acids will be formed). Sugars play (together with proteins, moisture and heat) an important role in the Maillard reaction. But the Maillard reaction is also influenced by the pH : a higher pH will speed up the Maillard reaction. So in this case where the pH is lower and where there are less sugars left, the color of the crust is lighter.